Reverend Dr. LeQuita Porter loves God and God’s people! She has a compassionate spirit and is genuinely concerned about the true needs of God’s people. She is a staunch advocate for Excellence and Authenticity in Ministry and in all aspects of our lives, while being firmly committed to assisting those who have been oppressed, abused, neglected and left out! Reverend Porter is on assignment for God and responds to an audience of One – the Most High God! 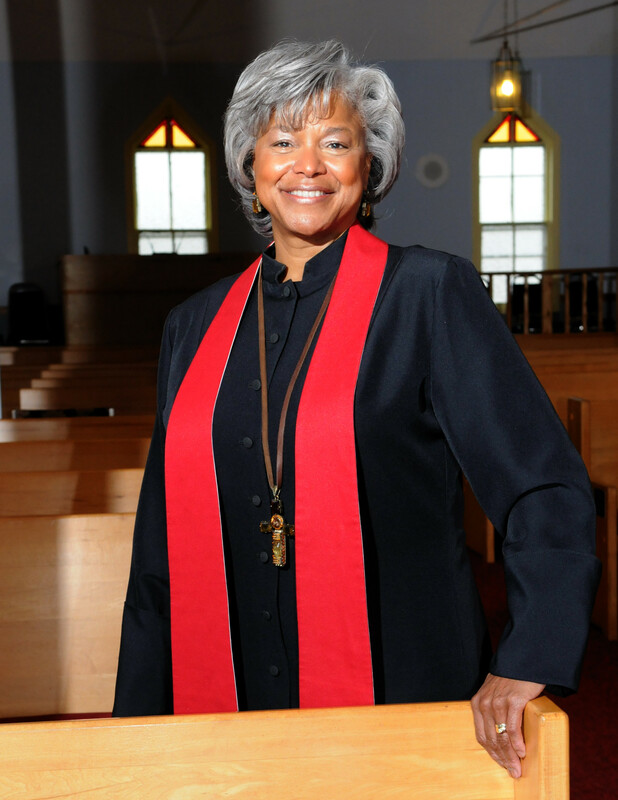 Dr. Porter is a licensed and ordained minister and holds a Doctor of Ministry (D.Min.) degree from Acadia Divinity College of Wolfville, Nova Scotia, Canada and a Master of Divinity (M.Div.) degree from Princeton Theological Seminary in Princeton, New Jersey. She is an experienced attorney and business consultant, holding a Juris Doctorate of the Law (J.D) degree, a Master of Business Administration (M.B.A.) degree with a concentration in Marketing, and a Bachelor of Arts (B.A.) degree with a concentration in Economics. She also has a wealth of practical experience in Christian service, business, law, management and administration. Dr. Porter has spoken in many venues -- in the Church, legal, government and corporate arenas. She is experienced in strategic planning for profit and nonprofit organizations and has led many congregations in the process of Leadership Development and Planning. Dr. Porter has done extensive motivational speaking and leadership training to groups of adults and youth. She has also worked in the area of sexual abuse and HIV/AIDS, and is the creator of the workshop series “Transforming Pain Into Power” which is an effective empowerment tool for people dealing with different aspects of ‘pain’. Dr. Porter is a born again, saved, sanctified and submitted ambassador for Christ! She has many accomplishments to her credit – but she is most blessed by her relationship with God and with her family and friends! She is married to William Porter, is mother to Brian Robert and Nia Michelle, and grandmother to Breland, and is immensely thankful to God for her entire family. She is also blessed to be surrounded by a supportive and close extended family, who also love the Lord! This thesis is accepted in its present form by Acadia Divinity College, the Faculty of Theology of Acadia University, as satisfying the thesis requirements for the degree of Doctor of Ministry. This research evolved from a series of Leadership Sessions at the East Preston United Baptist Church (EPUBC) which began in November, 2010.